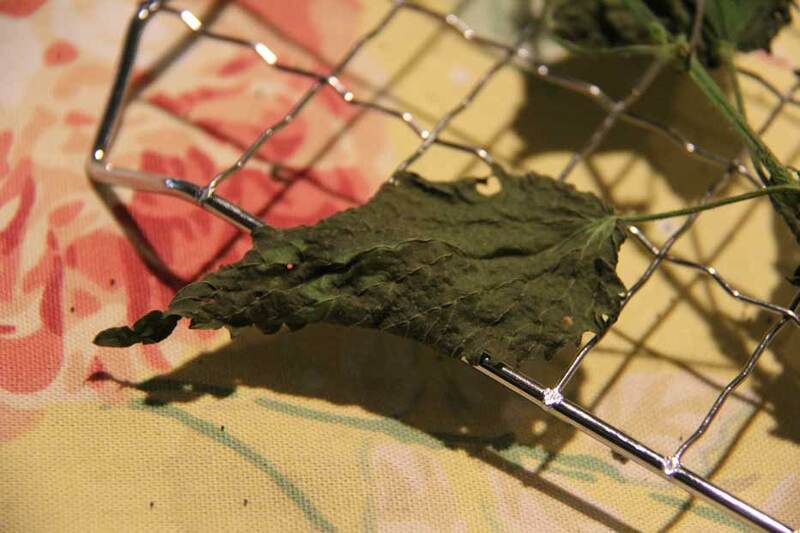 Here’s a pick of a dried nettle leaf. I don’t know why I never thought of drying out my nettles until now. I am a big fan of fresh nettle tea as a cleansing tea to make the seasonal transition. I always buy a bag full when they appear at the Farmers Market some time in the Spring, but I always get too much. I do make some tea, but most has gone bad. Stinging Nettles are a pain to harvest because they have sharp tiny burs that sting the skin. But they go away after they are cook in a tea or if they are dried. To dry the nettle leaf (don’t dry the streams), I simple place them on a bakers cooling rack for a few days. Once dry it is crumpled up and stored in a tin, which can last for at least a year. I combine my nettles with dried mint with a 1:1 ratio. You’ll need a lot to make a tea, like around 1/4 cup because they are very light. Emily and I are in the works with starting our own Tea Company. More on that later. This entry was posted in Tea and tagged ann arbor, Ann Arbor Farmers Market, ann arbor food, Ann Arbor Food Blog, Ann Arbor Food Blogger, ann arbor food blogs, dried nettle tea, Fresh Nettles Tea Recipe, Nettles Tea. Bookmark the permalink.